Properly speaking, white isn’t really a color. In the additive color system (light/pixels) it’s the combination of all colors. In the subtractive color system (ink), it is the lack of all colors. How a color system achieves white is, in fact, why they are named additive and subtractive in the first place. And yet, more shades of white are available commercially than any other color. Anyone who has ever tried to pick paint for a wall can attest to this. Many world languages even have multiple words for it, depending on the exact shade meant. 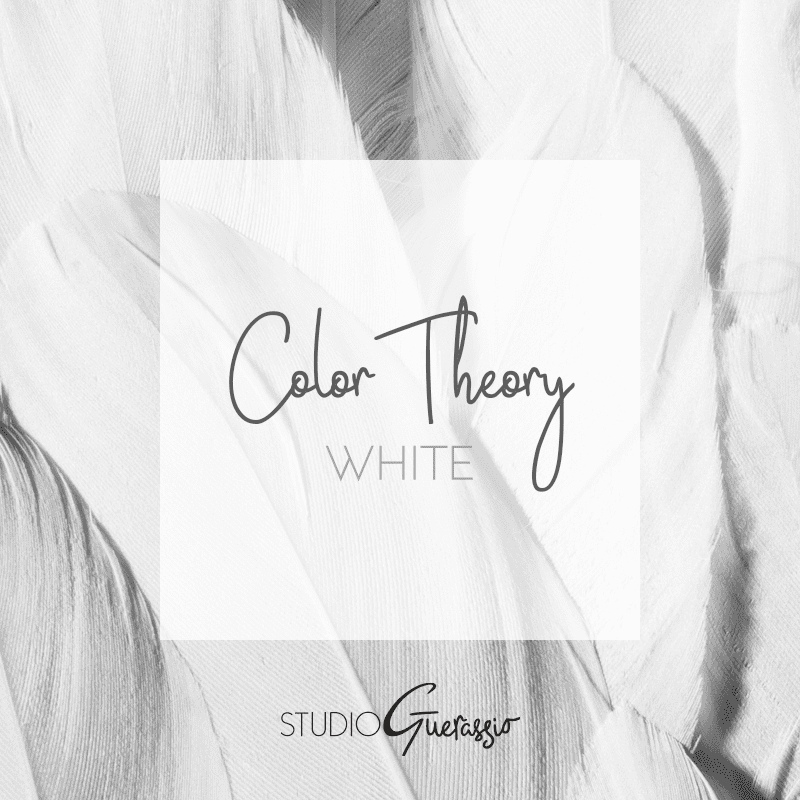 White was one of the first colors used in human art, and has a rich history of being associated with various gods, goddesses, religions, and things of a spiritual nature. As such, its place as a symbol of purity and cleanliness is widespread in culture and history. There’s a reason why unicorns, churches, and lab coats all bear that color. And why white is the source of more names for women in western countries than any other color (Bianca, Fiona, Pearl, etc.). It’s also why the white wedding dress business is booming there, despite virginity no longer being a prerequisite for marriage, and why in modern times some brides are choosing alternate colors to turn that tradition on its head. That is a whole lot of punch for one color to pack. I admit, despite my love of white space as a designer, I’ve always personally favored black as a color choice. You’ll more often find me sporting a black t-shirt or black dress than the reverse. White may be simpler, but I find black more flattering in most cases. There’s something to be said for the pairing of black and white together, though- they are dynamic opposites, and that combination has a whole host of meanings all on its own. White actually makes a great complement to all colors, but I find it particularly stands out with its fellow neutrals. If you want to see some examples of the many ways it can be paired and used, check out my neutral color board on Pinterest. What does white make you think of? Are you a fan of the light, or do you go for its darker opposite? As you’ve probably guessed I nearly always go for black, but I do love the contrasts with white! I often think white goes very well with grey as well. Yeah, not surprised! 😀 Black just is more flattering (and easier to keep clean!). I think it pairs well with all of the neutrals, grey included.